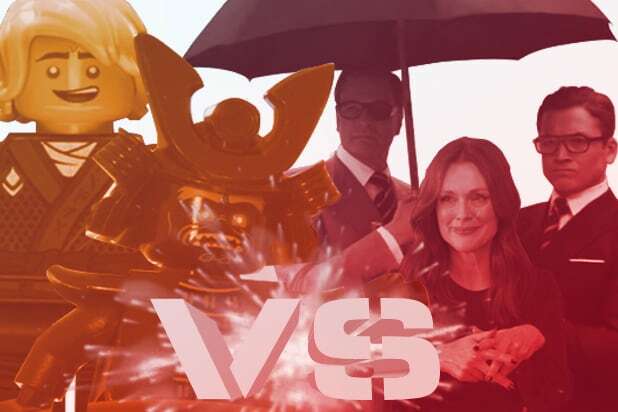 Could 'Kingsman' or 'Lego Ninjago' Dethrone 'It' as Box Office Champ? After dominating the box office for the past two weeks with no serious opposition, “It” is about to get some company in the form of Fox’s “Kingsman: The Golden Circle” and Warner Bros.’ “The Lego Ninjago Movie,” both of which should add to what has already been a very lucrative September. According to data from comScore, grosses since Labor Day are up nearly 40 percent compared to the same time frame last year, and the year-to-date deficit has dropped below five percent compared to 2016 after growing to as much as six percent in the wake of a dismal August. It seems that box office booms seem to have just switched months. While 2016 saw “Suicide Squad” carry the box office through August and was followed with a quiet September, 2017 is seeing the exact opposite with the record-breaking “It” pushing returns out of the doldrums. And while “Kingsman” and “Ninjago” won’t break records the way “It” did, they should, combined with a robust third-weekend performance from the Stephen King horror, put this weekend’s total results on the same level as the previous two weekends. “It shows you the see-saw nature of the industry,” says comScore’s Paul Dergarabedian. “We’ve heard studios talk about how they can release a big film any time, but now they’re really putting their money where their mouth is. The ‘It’/’Kingsman’/’Ninjago’ combo should make September almost seem like summer, and that really doesn’t happen,” he added. “Kingsman: The Golden Circle” is expected to take the No. 1 slot this weekend, with both studio and independent projections expecting an opening in the low $40 million range from 4,000 screens against a $104 million budget. The sequel’s 2015 predecessor, “Kingsman: The Secret Service,” grossed a $36.2 million opening from its mid-February release, going on to gross $128.2 million domestic and $414 million worldwide against an $81 million budget. Reviews for the film have been mixed so far, with Rotten Tomatoes currently giving it 56 percent. “The Lego Ninjago Movie” is projected by trackers to make a solid $35 million this weekend, with WB putting its target a little lower at around $30 million. 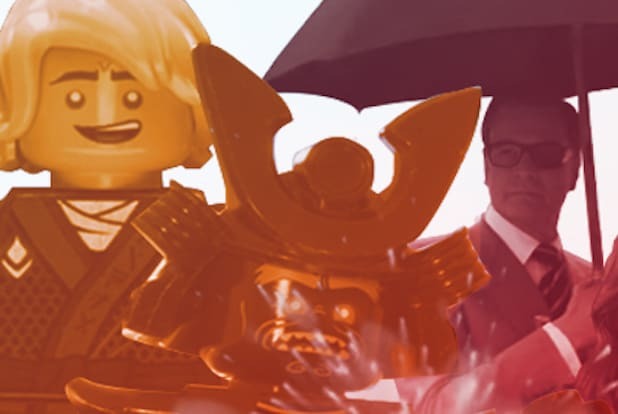 That’s a drop from the $69 million made by “The Lego Movie” and the $53 million made by “The Lego Batman Movie” earlier this year, but that is to be expected as “Ninjago” sports a lesser-known franchise and doesn’t dabble in the pop culture references the previous films used to gain crossover appeal. “Kingsman: The Golden Circle” sees dapper super-spy Eggsy (Taron Egerton) return to stop the evil terror ring known as The Golden Circle with the help of the Kingsmen’s American counterparts, the Statesmen. Colin Firth, Jeff Bridges, Julianne Moore, Channing Tatum and Halle Berry also star. Matthew Vaughn directed the film, penned the script with Jane Goldman, and produced with David Reid and Adam Bohling. “The Lego Ninjago Movie” follows six young aspiring ninjas as they train under Master Wu (Jackie Chan) to protect the land of Ninjago from an invasion by the evil Lord Garmadon (Justin Theroux), father of the ninjas’ leader, Lloyd (Dave Franco). Fred Armisen, Olivia Munn and Kumail Nanjiani also star. Charlie Bean, Paul Fisher, and Bob Logan are directors.